This volume of World’s Greatest Airliners looks at what in my opinion is one of the most beautiful airliners to grace the sky, De Havilland’s Comet. The book’s concise text is accompanied throughout by some fantastic images of the aircraft, and whilst I could never grow tired of looking at photos of the Comet, its storied history during such a time of development and change for the aviation industry makes for great reading. The book begins with a brief introduction describing the build up to the Comet’s first flight, an event that saw Britain as the world leaders of jet airliner development, barely four years since the end of the second World War. We then jump back 7 years to look at the circumstances that lead to the development of the Comet. The formation of the Brabazon Committee during the war believed that there would be the need for 6 different types of aircraft to serve the Empire’s post war civil aviation requirements, Type IV being the most radical of the requirements. This was a demand for the fully jet powered airliner the Comet was to end up fulfilling. The book follows the Comet’s rapid development, from authorisation to production in barely 4 years, leading up to that exciting afternoon on the 27th of July 1949 that saw her roar into the skies above the Hatfield factory. Continuing to look at the Comet’s seemingly unstoppable rise, the initial success and the development of the Comet is covered. This saw it grow not only in engine power, efficiency and customers, but even in size as the Comet 3 prototype comprised of longer fuselage to accommodate increased passengers and fuel loads as the Comet moved, without rival, into routes all over the world. All with levels of luxury not before seen in the sky. On we continue to what was some of the darkest days for the type, the loss of multiple aircraft and many lives lead to the grounding of the entire Comet fleet in 1954. The subsequent investigations are looked at as well as briefly describing the testing methods that lead to discovery of the ultimate cause of the accidents. Next, we move on to the Comet’s slow decline that begins with BOAC, the Comets biggest supporter to date, moving its fleet over to the larger Boeing 707 to enable it to remain competitive on the scheduled routes whilst moving its fleet of Comets to its smaller subsidiary airlines across the Empire. Overseas operators are covered next with Comets being used by airlines across the world, but the aviation industries shift towards chartered flights during the 60’s for the rapidly expanding package holiday market was already seeing the type become uncompetitive. Still the type was to remain in service with what had become the operator of the single largest fleet of Comets, Dan-Air, until the end of 1980 when the type made its final commercial flight. As the book nears its end it looks at the Comet’s service with the RAF. The chapter covers the roles of types during their service with 216 Squadron and 192 Squadron, the latter being renumbered 51 Squadron, before the most extensive modifications saw the Comet inspired maritime patrol aircraft The Nimrod come into existence. As you may guess by the way I go on a bit in this review this is an aircraft and story I love. The tale of its birth from war time meetings to its retirement at the dawn of the 1980s is one that provides times of fantastic highs of record-breaking journeys and cutting-edge development and terrible lows. It took place during a time of great turmoil for the British aviation industry, which saw many of the famous names from wartime aviation disappear. Whether that be due to liquidation or their merger into large corporations desperately trying to be able to keep the British aviation industry competitive and relevant on a global stage. Thanks to the author, this is a story any aviation fan can enjoy. Whilst including enough detail to keep the enthusiast interested, I think the balance is well done and it should not be off putting to those with just a passing interest in the subject and throughout, the story is accompanied by an array of beautiful photographs. I would as always like to thank Pen and Sword books for allowing me the opportunity to review this book. You can pick up your copy of this book, along with many more great titles at their website. This book looks at the conflict fought in the skies above the Mediterranean and North Africa during the period from which Mussolini declared war in June of 1940 until the Italian armistice of September 1943. Over the course of the book the author looks at the types of aircraft used by their relative air forces during the conflict, from the CR.32 & Gloster Gladiator biplanes of the Regia Aeronautica and RAF respectively during the early months; to the Douglas Boston DB-7’s of the SAAF and the Ju-87 Stuka’s of the Luftwaffe. The book looks at the roles each type of the wide range of aircraft involved played during the various stages of the conflict and the conditions they and their crews were operating in. Whilst the vast array of photographs included may not provide many opportunities for the modeller to examine the details of each aircraft, they are sure to provide plenty of inspiration for potential builds and dioramas. Overall, I found this book to be a good introduction to an area of the second world war that I had not really spent much time looking at before, with the text providing a good amount of historical detail whilst the selection of photographs covers a good variety of subject matter helping retain a high level of visual interest too. As always my sincerest thanks go to Pen and Sword Books for the copy to review, you can get your copy over at their website! This edition of the Flight Craft series takes a look at what for many is one of the most iconic fighter aircraft, the Spitfire. The book begins, as is typical with the series, with a concise history covering the development of the Spitfire. From its roots held within Supermarine’s Schneider Trophy winning aircraft, through the early types and then focuses in on the Mk.V that served as the basis for development into so many of the later variants. The journey through design and development is accompanied by an array of fantastic photographs of development and service aircraft, with their details providing a valuable source of reference photographs. The colour profiles included in this edition are spread throughout the latter parts of the book rather than being in one specific markings section as they were in the previous titles in the series. They cover a variety of types and operators and include some beautiful looking schemes which are sure to provide inspiration to the modeller. The modelling specific section of the book takes a different approach to looking at the Spitfire in model form than I have seen in the other editions of Flight Craft by taking a more historical look at the Spitfire in its plastic guise. There are so many kits and editions available covering so many different variants across so many different scales it would be impossible to look at each kit individually without it becoming a work in its own right. Even without going into the details for specific kits this section still provides plenty of information and details with regards to the various manufacturer’s offerings, whilst still focusing on the Mk.V, as well as pointing out the almost countless opportunities for detailing. Finally, we are treated to Frank Reynolds write up of a build of the Airfix MK VB Trop. Which is accompanied by more great photographs of built kits and colour profiles. Overall this is another great addition to the Flight Craft series, containing a wealth of information and great images to provide the modeller with both a source of reference and inspiration. The Flight Craft series of books are available from Pen and Sword Books, to whom my thanks go out to for allowing me review this copy, pick up your copy here! This edition of the Flight Craft series looks at the iconic German fighter the Bf-109. As with other editions in the series the reader is treated to the history of how the aircraft was conceived and developed over its life time and its numerous revisions. This is followed by the service history of the type, covering the major theatres the aircraft was used in and by which air-forces. The accompanying captioned images provide the scale modeller with plentiful reference images of the various types and a few of its adversaries too. The camouflage and markings section has 16 fantastic large colour side profiles of various types of Bf109 from various countries, including one of a development aircraft, one from the Spanish civil war and even a captured type in RAF markings. Finally the kit reviews come next and these cover offerings across a wide range of manufacturers, scales and types and again even covers a conversion kit. The reviews are all well written and accompanied by images of some beautifully built offerings which should provide plenty of inspiration for any scale modeller. As always my thanks go out to Pen and Sword Books for the opportunity to review this title, why not head over to their site and treat yourself to a copy! This book is a great tale of life in service during throughout a major part of the cold war. The author manages to take you along with him on his journey from early life in Glasgow to his deployments in service in the Royal Air Force, and along with all the hard work came many amusing incidents that really shows the great comradery between colleagues that seemed ever present no matter where the author found himself stationed. Whilst operational stories are always interesting to aviation enthusiasts, the authors stories of how these crews let off steam and really did live the work hard, play hard lifestyle are not only often funny, but I thought it showed a real human side to the RAF during a time when almost everything they did in training and practice sorties was ultimately aimed at preparing for having to go beyond the Iron Curtain in one way or another. For me I ended up finding it was these anecdotes of lighter moments that really made the book, not to detract from the rest of it mind you, but they really seemed to make the book go beyond merely an operational history for the author to make it feel almost feel like an old friend or relative was recounting stories from years past over a drink or two. If you have any kind of interest in the RAF, or those that serve then this is definitely worth a read. As always thanks go to Pen and Sword books for the copy to review, you can find the book for sale on their site for which a link can be found in the links section of this sites menu. This book provides technical data along with a brief history of the development of each fighter type and it’s variants which are all organised by the country/bloc of origin. There are fighter aircraft from America, Russia, China and Europe covered with each being accompanied by some fantastic images of those airframes. The selection of aircraft included in the book illustrates the shift from the quest for greater speeds and altitudes for the worlds air superiority fighters to the quest for stealth and technological advancement instead. 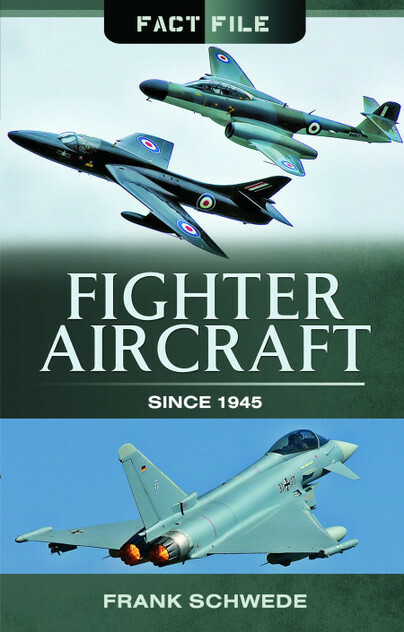 Whilst the book does have a nice selection of photographic content, the images tend to be more generic images of the aircraft in question rather than the detail shots that modellers crave, this does not detract from the book though which is a great little title that should find its place on any aviation enthusiasts bookshelf. This book unsurprisingly covers the development of the FW190, a German aircraft that really was a workhorse for the Luftwaffe during WWII with its many variants allowing it to be utilised for a wide range of mission, from air superiority to bombing missions in theatres from the Eastern Front to North Africa. The book begins by concisely covering the development of the type from its prototype to production aircraft and the many variants developed for the various missions and theatres they were deployed for. This part of the book covers many of the improvements and alterations throughout the variants of the type, their armaments and their mission types; there is also an explanation of the colours and markings used on the type. The book then contains over a hundred fantastic photographs, a few of which are even in colour, showing the aircraft in a huge range of situations, theatres and variants all of which are all captioned to explain what they show along with any other pertinent information about the photographs. The images published included some lovely detail shots and some images of rarely seen captured aircraft and a few other unusually marked airframes. On the whole I found the book to be a great source reference material and information, whether it be for general interest or looking at it like myself as a model maker. The publication is a great source of inspiration and information about the type for anyone interested in aircraft of this era and is a superb resource for anyone looking for photographic reference material on this extremely important aircraft. Well along with my first foray into the world of sci-fi modelling I am adding something new to the blog, I have been approached to review books for Pen and Sword who are publishers of a variety of military, aviation, martime, local history, true crime and nostalgia books which I have agreed to do with the focus of my reviews being military history and in particular aviation books. As model makers we are always in search of reference material for our projects, whether this be in photographic form or the written word with first person accounts of missions, deployments and exercises so I thought I would add the my reviews of the books to the blog to try and help point people in the right direction for sources of reference material.